I read an interesting article recently in the Imperial Valley Press. For those not familiar with this corner of California, Imperial County is in the state’s very southeast corner. It’s an amazing desert farming region that grows much of the nation’s vegetables during the winter. Because it is on the border with Mexico, many farmworkers commute back and forth between the the U.S. and Mexico to their jobs in valley agriculture. And, many Mexican-Americans live there. They bring rich cultural traditions and art to this area. They also bring myths and stories that are unknown in other parts of the United States. The story of “La Llorona” is one of the stories I hadn’t heard until the newspaper included a feature on the legend. The fundamental lesson that the legend of La Llorona teaches is that women and mothers have a profound responsibility to love and protect our children, and those women who betray this responsibility will suffer the consequences. Scholars say the myth of “La Llorona” goes back to Aztec times, before the Spanish invasion, said Jose Manuel Valenzuela, professor of the culture department at the Colegio de la Frontera Norte in Mexicali, which is directly across the border from the California city of Calexico. It is told that Moctezuma had a dream in which he saw a woman walking the streets of Tenochtitlan — now Mexico City — crying, “Oh, my children,” said Valenzuela. It is believed this figure was a premonition of the aggression that the Aztec empire suffered from the Spanish, said Valenzuela, adding that the children the woman was crying over were the children of Mexico. “La Llorona is this mythical figure that cries over the disgrace of the children of Mexico,” Valenzuela said. to let them sleep in peace. 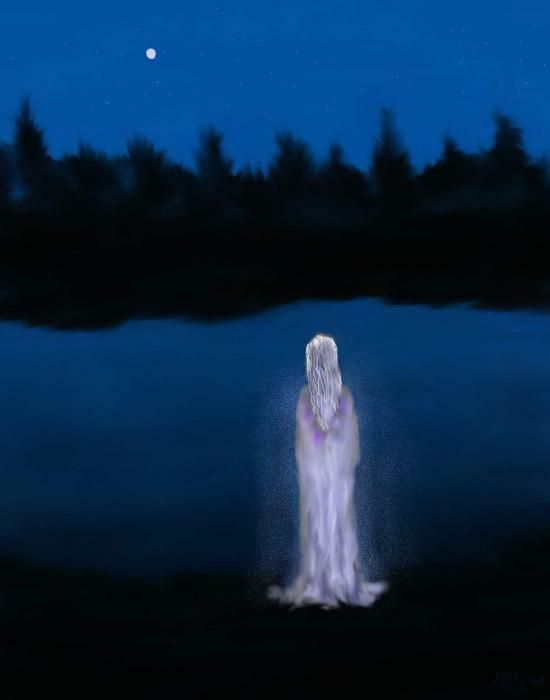 In the United States along, an estimated 35 million Hispanics have grown up with stories of La Llorona, with this vengeful ghost considered by many to be the Latino world’s best kept literary secret. The tale is now the subject of a new movie by director Bernadine Santistevan. The Cry is her first feature film. Bernadine grew up in a remote area of northern New Mexico. She studied engineering at Stanford University and business at the Wharton School of Business. She left her job as a venture capitalist at GE Capital in New York City to pursue her dream of making a movie about La Llorona. “The Cry,” is a supernatural thriller based on the legend. More information on the film’s distribution and viewing opportunities can be found at: The Cry.